Senator Bernie Sanders of Vermont had much more victories to celebrate other than his own Tuesday night. 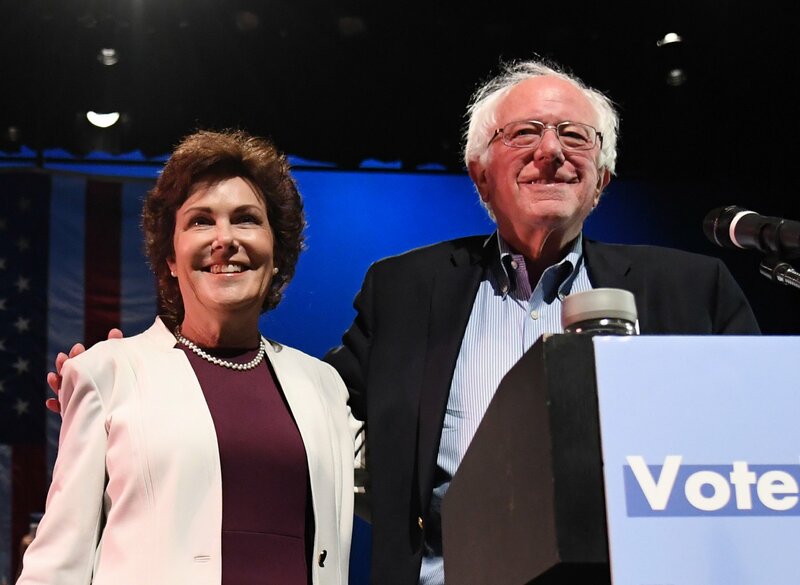 The progressive and independent lawmaker saw a number of candidates he endorsed claim wins across the country, perhaps signaling Sanders’s movement two years ago had significant lasting power. But like Democrats and Republicans, Sanders also experienced some big wins and big losses. At the national level, Sanders’s picks achieved largely strong results but at the state level, they slipped. Both of Sanders picks for the Senate, Jacky Rosen of Nevada and Tammy Baldwin of Wisconsin, won their respective races. Rosen’s victory was particularly strong as she unseated GOP incumbent Dean Heller and contained the two-seat Senate loss for Democrats. In House races, the candidates that Sanders backed and actually made it to the general election split even. Chuy Garcia provided perhaps the best win of any Sanders-endorsed candidate as he flipped Illinois’s 4th District and defeated Republican opponent Mark Lorch by more than 110,000 votes. Two of Sanders three picks in California, Barbara Lee and Mike Levin, proved victorious while Ammar Campa-Najjar fell to Republican incumbent Duncan Hunter. Levin’s expected win over Republican Diane Harkey for California’s 49th District was also historic. The district had not elected a Democrat since 2000. Sanders also helped make history in Colorado where Democrat Joe Neguse pulled out more than 60 percent of the vote to become the first African American elected to the House by The Centennial State. Neguse, 34, will also be one of the youngest members of Congress when he takes office next year. Sanders backed Vermont Democratic incumbent Re. Peter Welch, who won with over 69 percent of the vote, but candidates in Indiana, Iowa, Pennsylvania and Wisconsin all fell. In Wisconsin, upstart candidate Randy Bryce, who was hoping to take over the seat of outgoing Speaker of the House Paul Ryan, lost to Republican Bryan Steil by more than 12 percent. Altogether, Sanders’s choices went 5-5 in House races. In governor’s races, Sanders saw more losses than wins. Democrat Jared Polis won his bid in Colorado with over 51 percent of the vote, and Gretchen Whitmer took down Michigan. But David Garcia lost a chance in Arizona to Republican Doug Doucey, as did Ben Jealous in Maryland and Christine Hallquist in Vermont. Sanders got behind Florida’s Andrew Gillum, but he narrowly lost to Republican Ron DeSantis. As of Wednesday morning, Sander’s picks for governor’s races stood at 2-4 but Georgia might wind up a victory. Democrat Stacy Abrams, citing alleged voter suppression measures, refused to concede to Republican and Georgia Secretary of State Brian Kemp and the state could be heading for a run-off. Correction: This story incorrectly stated that Mark Lorch was the incumbent when in fact he was running for an open seat. This has been corrected. Will Nancy Pelosi Get Pushed Out of Power?